Dunbar’s lifeboat volunteers came to the rescue of one of their own crew members last night (Tuesday) when his fishing boat ran into trouble. 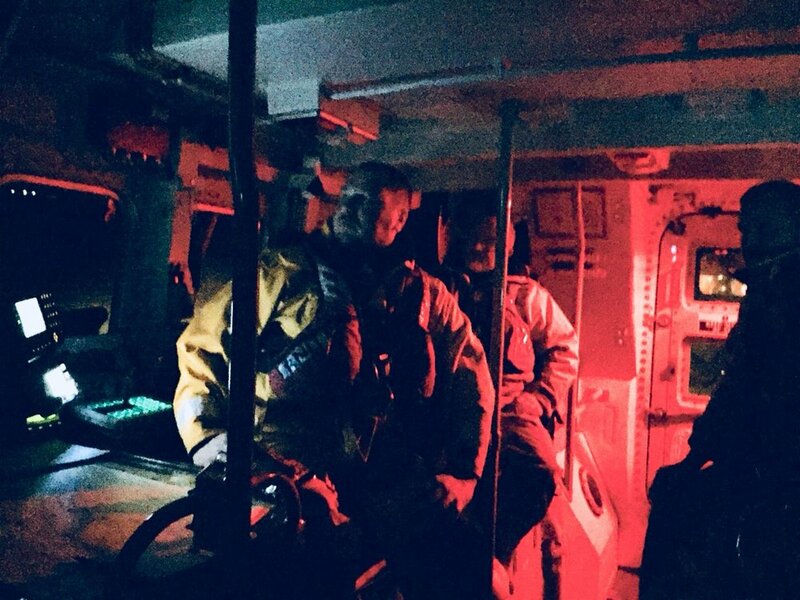 UK Coastguard paged for the lifeboat at 6.30pm after the fishing vessel Spitfire – owned by Robert Davies and son Rowan, a Dunbar volunteer – became tail tied on its own net. Dunbar’s all-weather lifeboat (ALB) launched from its mooring at Torness Power Station at 6.57pm and reached the stricken Spitfire five miles north of the town 20 minutes later. A tow was quickly set up but because of the state of tide it was deemed too risky to return to the harbour. That meant a five-hour wait until 1am when it was safe enough to attempt an approach. In 20mph wind and some swell, the crew of the ALB John Neville Taylor shortened the tow line and guided the Spitfire to a safe berth at around 1.20am. The ALB then returned to Torness where by 2.45am it was refuelled and ready for service.